"What if every moment in life came with a second chance?" In this romantic comedy/drama, main character Tim Lake (Domhnall Gleeson) discovers that he has the ability to travel back and forth in time. His father tells him that all of the men in the Lake family have this power. Tim uses his power to travel back in time and relive various romantic and potentially romantic episodes from his past that he has regretted not handling well the first time around. When Tim meets Mary (Rachel McAdams), he is immediately smitten. In order to further his relationship with Mary, he calls upon his time travel ability and uses it to ensure that this romance will have a chance to blossom. Tim time travels and sees to it that Mary will never meet her current boyfriend. As his life proceeds, Tim uses his power sparingly but manages to reap the benefits of his supernatural gift. On a few significant occasions he learns that to alter things in the past can have unexpected negative consequences that he must be on the lookout to avoid. In some instances he must choose to not use his power to wipe-out negative things from the past for fear of also undoing good things as a result. 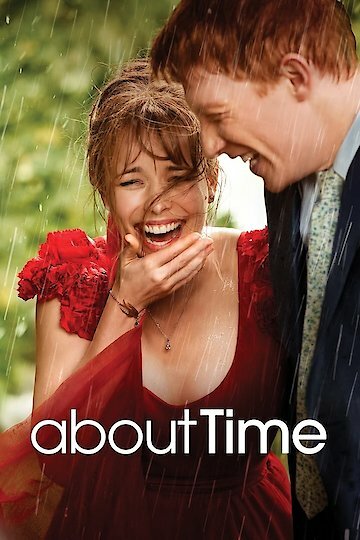 About Time is currently available to watch and stream, download, buy on demand at Netflix, Amazon, Vudu, Google Play, FandangoNow, iTunes, YouTube VOD online.